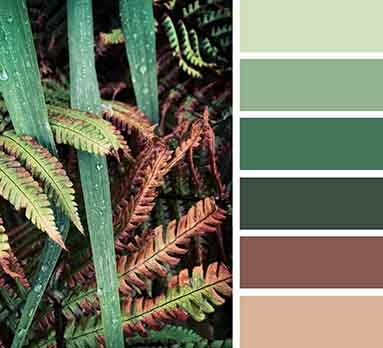 Way back in February we spent the month looking at the influence of plants and botanicals in design, from simply using more house plants throughout our home, to their effect on colour choices, as well as beautiful plant and botanical inspired textiles, prints and decor (look here, here and here). 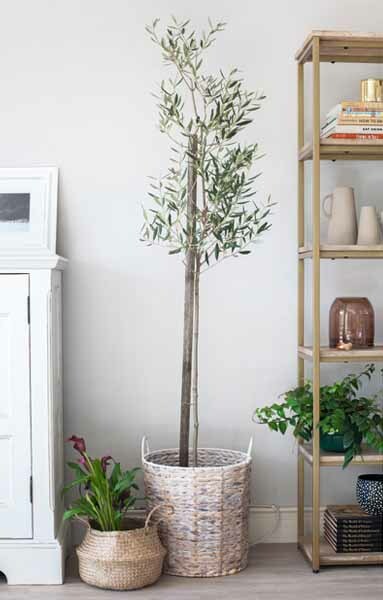 With the new summer season upon us, we’ve got our top tips on bringing the outdoors in. 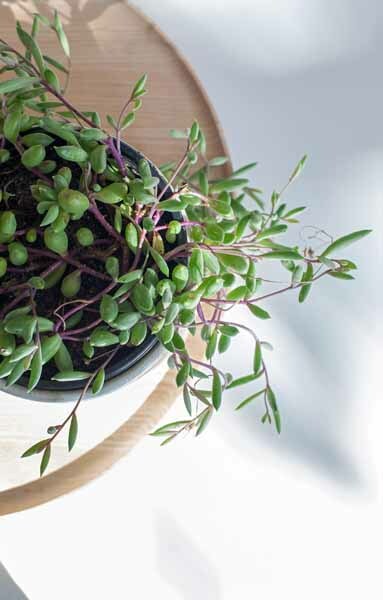 Put your green thumb to work by creating a display of indoor plants. 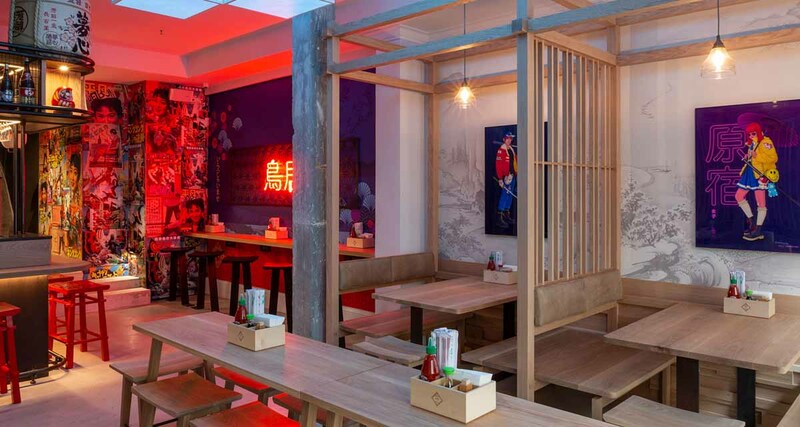 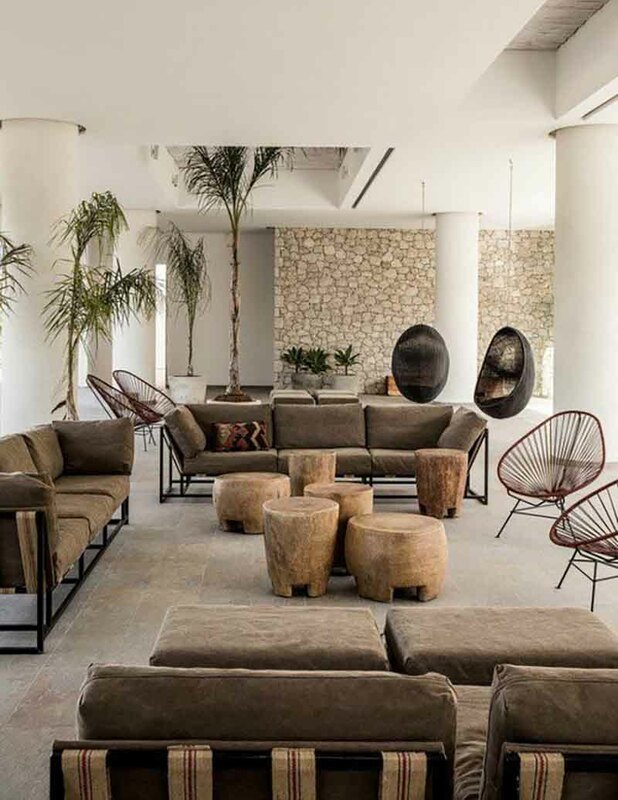 Use a variety of vessels in differing shapes, materials and sizes to create an eclectic look. 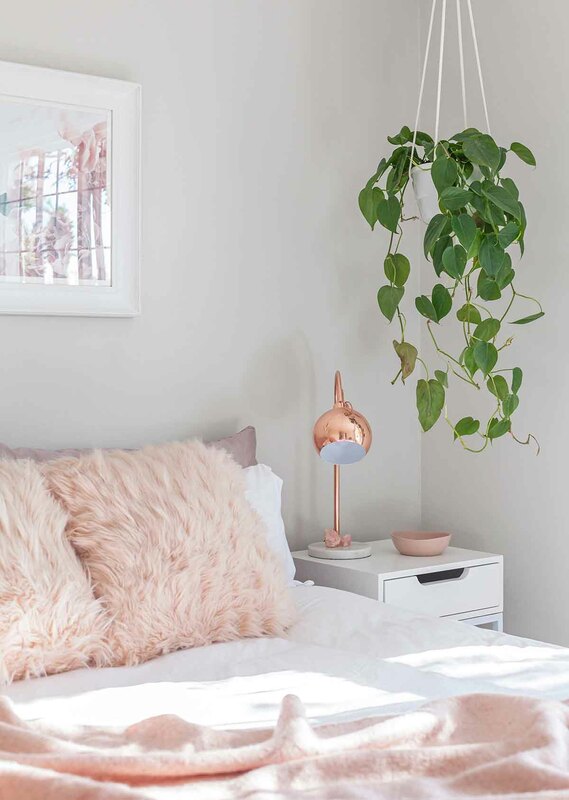 We love the hanging planter we used in this bedroom makeover, and the assortment of plants we styles on and around the shelving units. 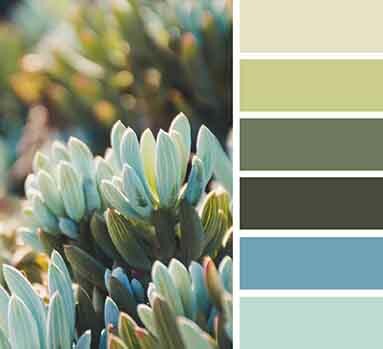 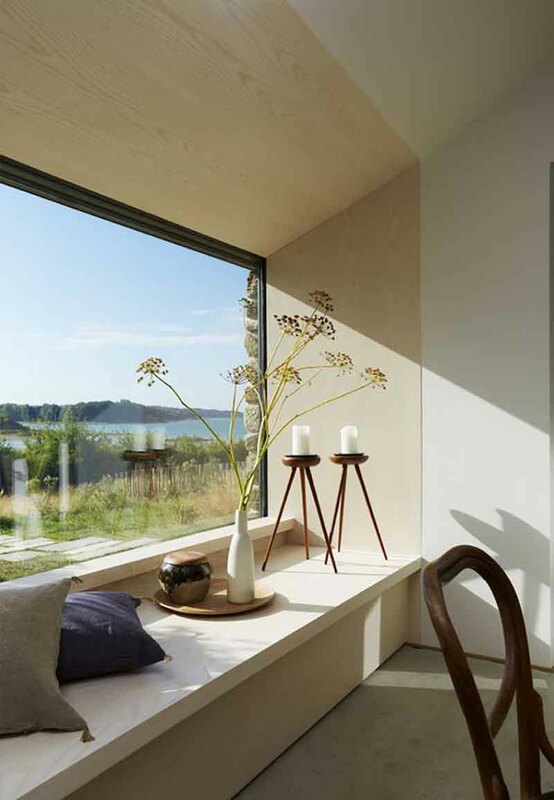 Whether you have a garden view, a sea view or a view of the landscape, use a colour palette that is inspired by what you see outside of your windows. 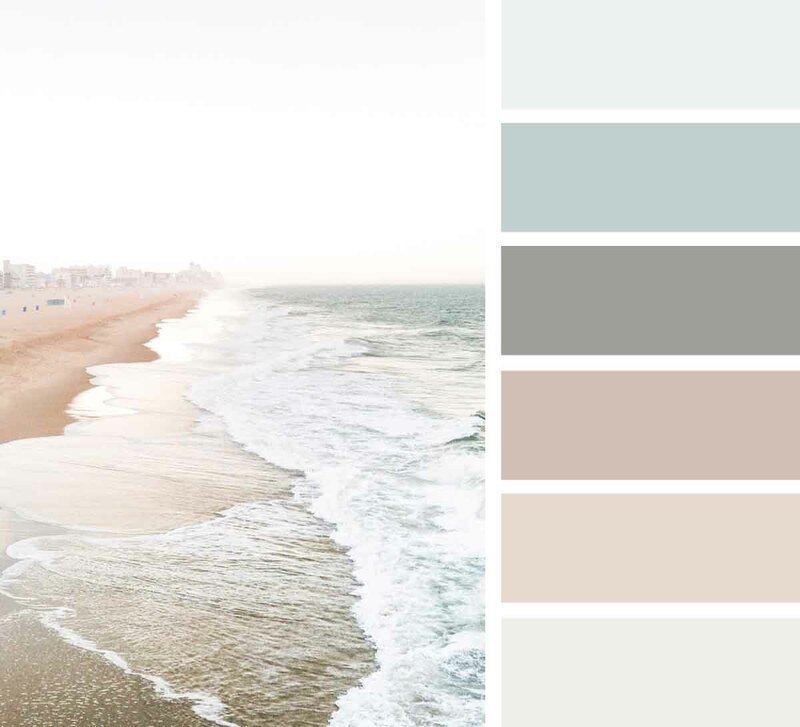 This will help make a connection between outside and inside. 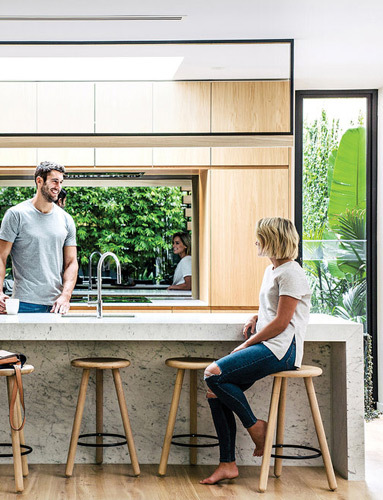 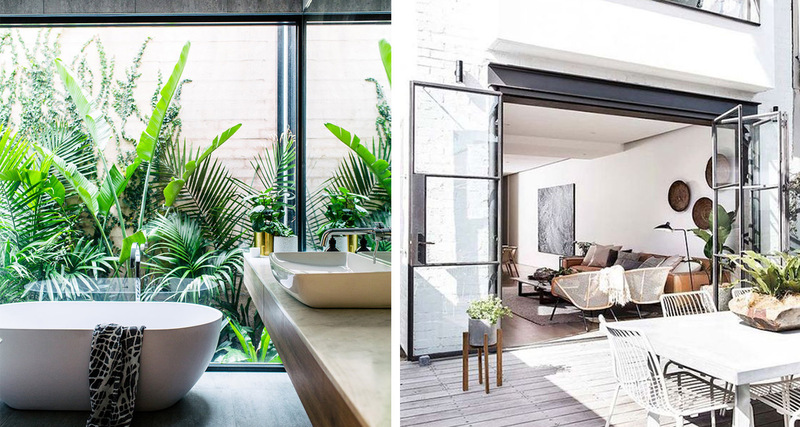 Not only are picture windows a beautiful design feature that allow a large amount of light to flow into your space, but with their oversized proportions they visually connect your indoor space with the surrounding outdoors. 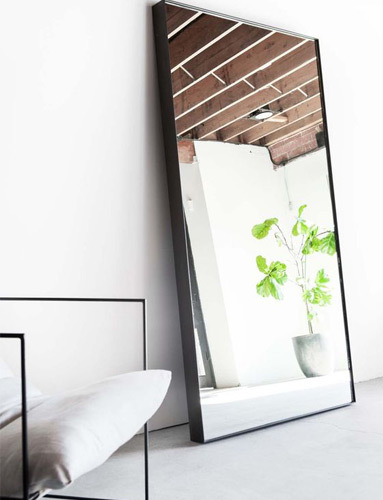 Using mirrors in such a way that they reflect more of the outdoors gives the illusion of the outdoors being indoors. 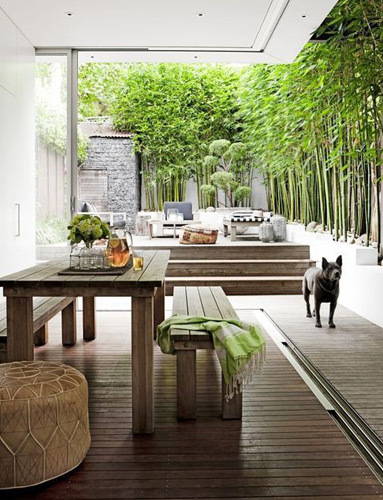 Natural and organic textures also create a sense of cohesion between your outdoor and indoor spaces. 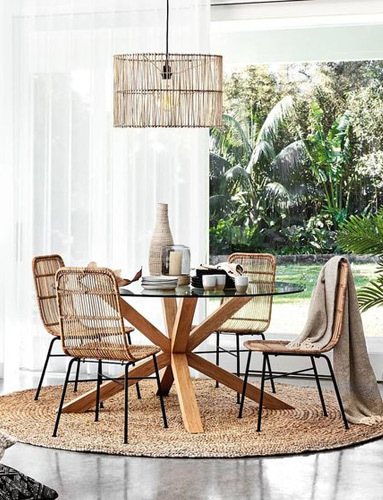 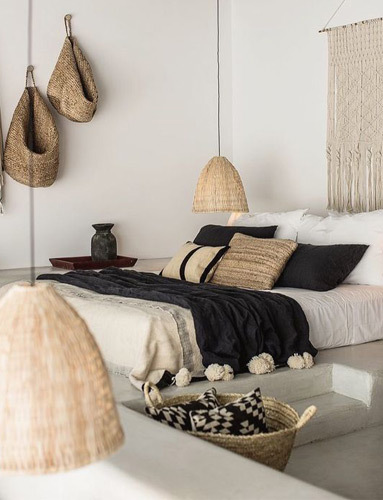 Use elements of wood, weaves, rattan, sisal and natural stone. 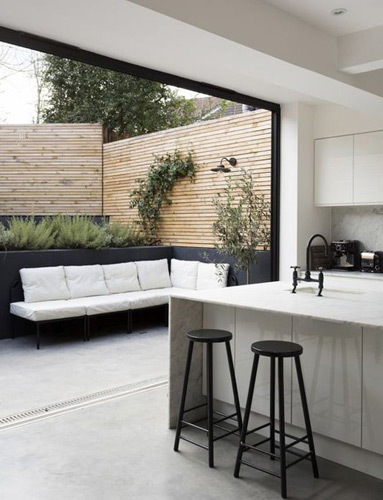 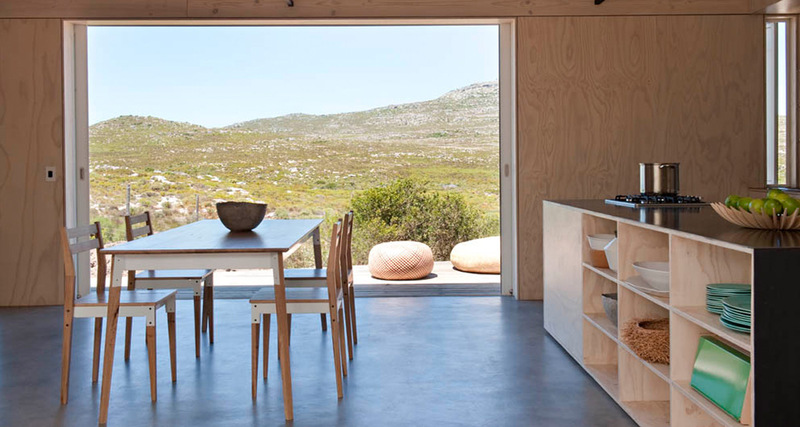 The ultimate dream is to create the perfect flow from indoors to outdoors with large stacking or sliding doors, allowing one to move freely from the indoor to the outdoor living space.